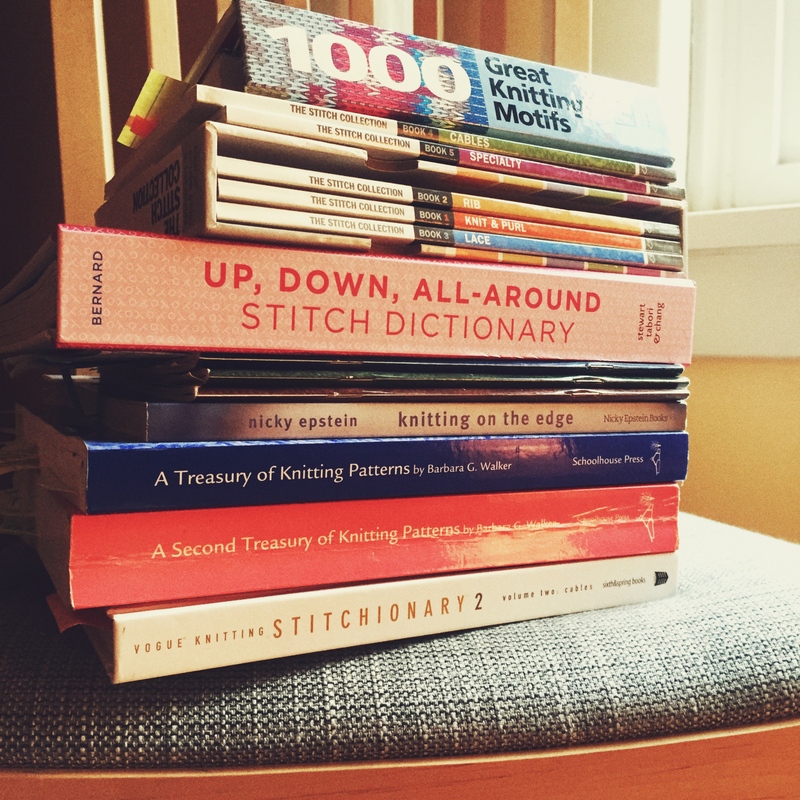 You might be wondering how I plan to do this challenge without the stitch dictionaries I normally use. So am I! Just kidding. Before I set this project up, I did a little browsing to see what is available online, and I was easily reassured. There are a lot of interesting stitches online, some so complex I can’t imagine designing with them while travelling and others so simple I can see myself enjoying them as a pre-bedtime knit. I’ve used Pinterest off and on over the years, but it was definitely the place to go for building up my stitch library. For one thing, I can see pictures of the stitches I bookmark right there. It’s going to be important for me to have the visuals – after all, I’m going to be trying to evoke certain parts of my journey. A second reason to go to Pinterest is that it already contains a fantastic collection of stitches! It might be the best place to search for stitch inspiration I’ve found. Here’s my pinterest board, a mix of links to individual stitches and stitch collection websites. Warning: total rabbit hole. Lovely ideas on your Pinterest board and I can see how you will be able to use some of those for your imagined landscapes! Can’t wait to see what your shawl looks like. Will we get to see photos along the way?